Responsibility The Play Manager will be responsible for the day to day management of all the staff in the setting and the welfare of the children attending on a daily basis. Location On site at our premises at Ecclesall Primary School. About us: We are independent of the school and operate on a not for profit basis. A motivated, creative and flexible Play Manager is required to lead and be responsible for directing the on site organisation of our large Breakfast and After School Club. We have recently merged our former infants and juniors provision into a large mixed age club and are based on one site at Ecclesall Primary School, where up to 90 children attend Breakfast Club and up to 120 children attend After School Club on peak days. Some duties will be personally delivered and others by delegation to a team of 3 qualified and experienced Play Supervisors. The new Play Manager role will share defined areas of the management of the setting with the Club’s Business and HR Manager and will work collaboratively with them to ensure our existing setting delivers a quality service that continuously improves. The post will mainly involve term time working but will include some non term time holiday club cover. Lead the day to day on site management and organisation of the Breakfast and After-School Club, supported by 3 qualified Play Supervisors and a team of Play Workers and Supply staff at Ecclesall Primary School. The hours required to deliver the role are 25 hours per week in club (1.5 hours in breakfast club each morning 7.30am – 9am and 3.5 hours in afterschool each evening 2.45pm – 6.15pm) and 7 hours per week worked flexibly outside club for additional meetings/ administration work eg staff rotas. The post is a true management position so would only require the post holder to be included in our 1:8 operating ratio on rare occasions. Work additional hours when occasionally needed for meetings, training and supervision (where applicable) this time is paid if it takes place outside club hours and is flexible to suit the Play Manager and their staff. Lead and motivate a team of staff to deliver high quality creative play opportunities in a clean, safe and caring environment. Promote good customer service and ensure all club staff operate within that ethos, ensuring good communications and relationships are formed with our parents and carers. Work in tandem with the Business and HR Manager, developing yourself, learning from each other and ensuring a culture of development and amongst the staff. Provide line management to a team of three Play Supervisors and supervisions for them and some of the qualified Play Workers. You will be, directing the work of staff based at the club, supervising their activities and supporting others in the induction of new staff members. Working with the Business and HR Manager to ensure regular supervisions/appraisals are carried out and support the continuous improvement of the setting. Work with all staff to provide care, play opportunities and activities in a homely, nurturing, and safe environment, with regard to the individual development needs of the children. Promote positive Behaviour Management, Inclusion and Equality and Diversity, ensuring the needs of our SEN children and EYFS children are supported and met. Build on the working relationships the club has with the School to ensure the provision supports the school and works collaboratively to improve the service we offer. Support the HR and Business Manager in continuing the work we have already done to improve communication with our parents and other stakeholders through our Newsletter, surveys, Magic Booking (on line bookings and payment System) and Website. Work alongside the Club Business and HR Manager to support the Committee to evolve and improve our new “one site” mixed club that was recently launched in September 2018, helping to take our service to the next level. Ensure that all staff adhere to the Club policies and procedures and support the Business and HR Manager and the Management Committee in reviewing and updating policies regularly where best practice or legislation changes including standards from other regulatory bodies eg Ofsted, Health and Safety Executive. Act as an exemplar Designated Safeguarding Lead (DSL),in addition to the Play Supervisors who are all trained DSLs. Have due regard for safeguarding and promoting the welfare of our children. Ensuring others adhere to the Safeguarding Policies adopted by Ecclesall Kids Club, including the requirements of DBS and Suitability Checks. Ensure that staff maintain all records relating to the management of the setting to the standards required by regulatory bodies eg Ofsted and Health and Safety Executive. Ensure risks and incidents are actively managed and risk assessments are in place where appropriate and lessons learnt. Ensure the confidentiality and data protection of the children, their families and the staff. Work with the Business and HR Manager and Committee to ensure budgets, resources and staff costs are managed effectively. Support the Business and HR Manager in checking the day to day administration and record keeping relating to staff. Ensuring that records of attendance, information returns and hours worked are accurate and support new processes to ensure value for money. Oversee the day to day occupancy levels and ratios of the club and help with promoting and marketing where necessary (eg holiday club occupancy). Develop working relationships with all relevant professionals and authorities including the local authority eg Sheffield Safeguarding Board (SSCB) and other Clubs. Support the HR and Business Manager when required to monitor and evaluate the quality of the service, via surveys or information gathering. Work within the modern and current interpretations of playwork and Early Years Frameworks to ensure that staff deliver good quality, planned play provision. Oversee the planning, staffing and organisation of the holiday club, delegating responsibilities to the Play Supervisors where appropriate. Attend meetings with the Management Committee to discuss ongoing issues and prepare reports as required. Ensure that high standards of health and safety, cleanliness and hygiene are maintained throughout the Club, including the completion of appropriate risk assessments and identification, recording and reporting of hazards, incidents and accidents. Ensure the safe preparation of food standards and dress standards are met. Deal with customer complaints and support staff in dealing with behaviour management issues with a calm and sensitive approach. 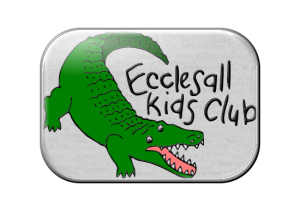 Carry out any other reasonable duties which will be seen to enhance the work of Ecclesall Kids Club. Support the Business and HR Manager in the recruitment and induction of staff in line with Safer Recruitment. Work with the Business and HR Manager to support staff supervision and appraisal and ensure core and additional identified training needs are met. Take responsibility for personal professional development, including participation in own supervision and annual appraisal, any necessary core training and attending Out of School Club Managers meetings to keep abreast of all current issues relating to providing wrap around care. Ensure the ideas and views of the staff are sought and captured with regard to developing our future service. You will need to be someone who is passionate about all aspects of childcare and education, and able to bring new ideas to the role. You will need to be a strong people manager with a caring and flexible approach. As well as an ability to lead and motivate a range of staff, you will need to develop the team, raise performance and tackle underperformance if it occurs.